In the 1530s John Harman alias Vesey, Bishop of Exeter, bestowed many gifts on his native town, Sutton Coldfield. One of these gifts, the pair of organs he gave to the Parish Church, suggests that he had an ear for music, hardly surprising in view of his background. For many years he had been at the court of Henry VIII as Dean of the Chapel Royal - the musicians of the Chapel Royal were the best in the land, and the top composers of the day wrote music for them. The organs Bishop Vesey gave have not survived, nor is it certain what is meant by “a pair of organs”, but only the best would have been good enough for the wealthy Vesey as we imagine him listening to the latest motets in his local church. Church music declined in importance after the Reformation, but came back into fashion after in the 1700s. 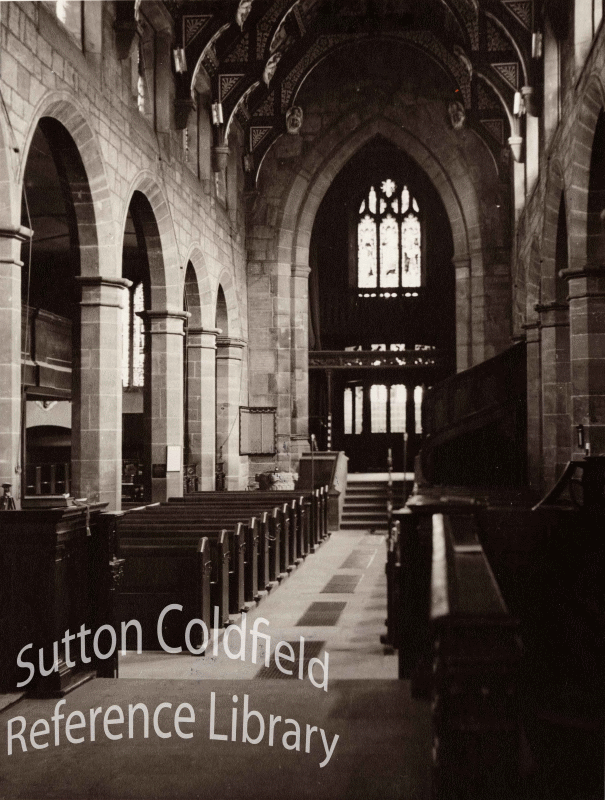 In the 1750s Sutton Church was extensively repaired and parts of it which had fallen down were rebuilt. In the western gallery of the rebuilt church room was found for an organ, the gift of the Rector’s brother, John Riland. “The organ is very small, but very neat and, what is more, a very good one” wrote a contemporary. The eminent musician Dr. John Alcock (1715 - 1806) was appointed Organist, and gave the inaugural recital in 1761. Alcock had a fine reputation as a musician and composer, and had been Vicar Choral, Organist and Master of the Boys Choir at Lichfield Cathedral since 1750. Disputes there caused him to resign as master of the boys and organist, but he remained a Vicar Choral. He felt that Sutton did not treat him as he deserved; he travelled from Lichfield for the Sunday service at Sutton, and complained that youths had borrowed his horse while he was in church and so mistreated it that it had died, and now the cost of hiring a horse took all but 1s. 6d. of his weekly wages. Alcock was succeeded in 1786 as Organist at Sutton by Mr. Clark, on an increased salary of £20 a year, and John Riland, who had given the organ, became Rector in 1790. Eventually the organ, which relied on hand-operated bellows for its wind, wore out and a new one, by Gray and Davidson, was installed in the south-east part of the church in 1863. The west gallery of the church was taken down in 1879, and the remains of the decayed 1760 organ removed. A Hope-Jones electric organ was installed in 1900, and in 1950 a new organ was erected in the tower of the church when the late Harold Gray, the famous conductor, was director of music there.